Tulsa faces Kansas City Thursday and Sunday at the BOK Center in first two games of best-of-seven Mountain Division Semifinals. 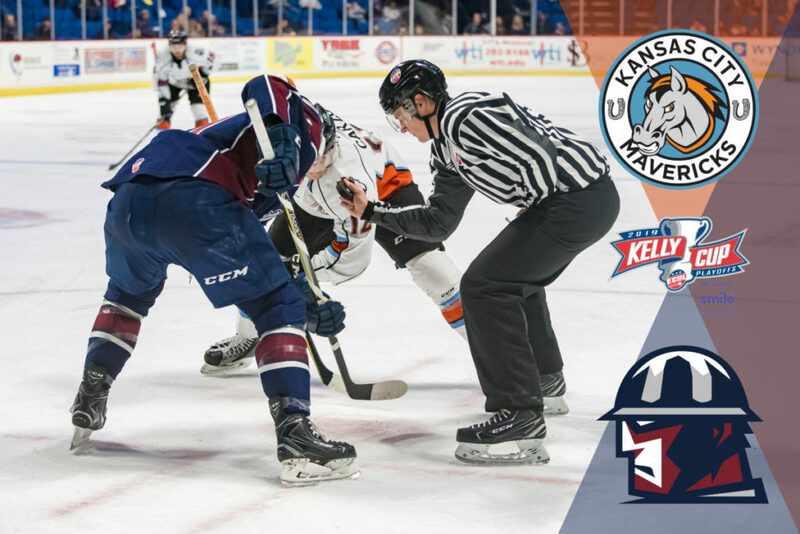 The Tulsa Oilers returned to the Kelly Cup Playoffs for the first time since their inaugural ECHL season in 2014-15, after posting a 42-24-6 regular season record and claiming the Mountain Division title. The accomplishment was Tulsa’s first division championship since 1975-76, when the Oilers competed in the original Central Hockey League. Tulsa got off to a blazing 13-2-4 start to the season, leading the entire league with 30 points by Dec. 1. An 11-game losing skid in December (0-9-2) dropped the Oilers down to 6th in their own division by Dec. 28 with a record of 13-11-6. Since snapping that skid, Tulsa finished the season 29-13-0 to win the Mountain Division by two points over Idaho. The Oilers were one of four teams in the ECHL (Cincinnati, Florida, Orlando) to win 20 games at home and 20 on the road. The Oilers and Mavericks faced each other 11 times in 2018-19, with Tulsa claiming the season series 7-4-0. All 11 meetings were decided in regulation. Tulsa was 4-1-0 against the Mavericks at home and 3-3-0 in Kansas City. Five of the 11 games were decided by one goal. Tulsa’s biggest win was a 6-2 comeback March 16 at Silverstein Eye Centers Arena, the Oilers’ playoff clinching victory. Kansas City’s biggest win was 6-1 on December 21 in Independence. The Oilers outscored the Mavericks in the season series 37-31. This is the seventh time a Tulsa team and a Kansas City team have met in the playoffs. The American Hockey Association’s Tulsa Oilers faced Kansas City in the postseason four times in six years from 1929-30 to 1934-35. The Kansas City Pla-Mors won in the 1930 Finals, but the Oilers got revenge in the 1931 Championship. Kansas City defeated Tulsa in 1933 in a round robin on their way to the title, and Tulsa won in the first round of the 1935 playoffs. The United States Hockey League’s Oilers and Pla-Mors met in the 1945-56 Finals, with Kansas City winning in six games. The last time Tulsa and Kansas City met in postseason hockey was in the 1976-77 Adams Cup Championship Series in the original Central Hockey League, with the Mavericks winning in a sweep. Tulsa’s last home playoff win against Kansas City came April 11, 1946 at the historic Tulsa Coliseum. Tulsa Oilers season ticket holders can pick up their playoff tickets at the Oilers’ front office or the BOK Center box office Thursday night before the game. Discounted playoff packages are available by calling the Oilers’ front office at 918-632-7825 or visiting www.tulsaoilers.comfor more information. Single-game playoff tickets are available on www.ticketmaster.comor at the BOK Center box office.